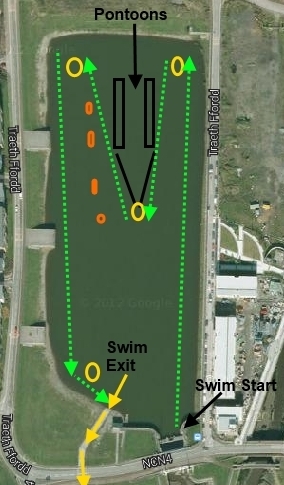 The swim course is in the safe haven of the North Dock and will involve a deep water start. We will have ample water safety crew in the water and the course will be clearly marked with large orange buoys. 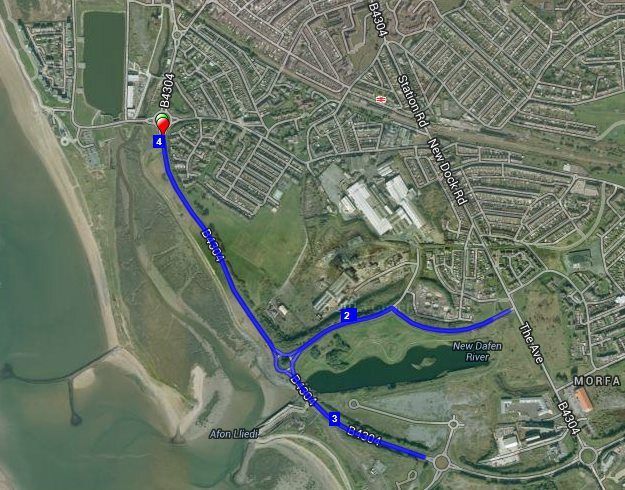 The Run Course for PT2-PT4 will take place on the Millennium Coastal Path which is tarmacadamed and runs parallel to the bike course. This is 2 Lap Run Course. The path is open to the public although every effort will be made to limit pedestrians on the course. There will be marshals on the course but as athletes you need to make sure your familiar with the course. 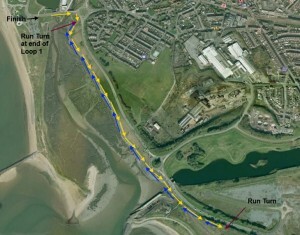 The RUN Course for PT1 is different with athletes using the bike course. This will be a 2 lap run course and is a straight out and back. You will not take a right turn at the 1st roundabout but go straight through. PT2 – PT5 - bike racking will be located in the same place for PT1 and you will also exit onto the bike course at the same Mount & Dismount Line. PT2-PT5 Run turn at the end of RUN Lap 1 will be next to Transition. Exit from Transition will be as below for PT1-PT5. PT2-PT5 will come along the path to their turnaround point at the end of Lap 1 by Transition. PT1 – Run Out will be the same as your Bike out. 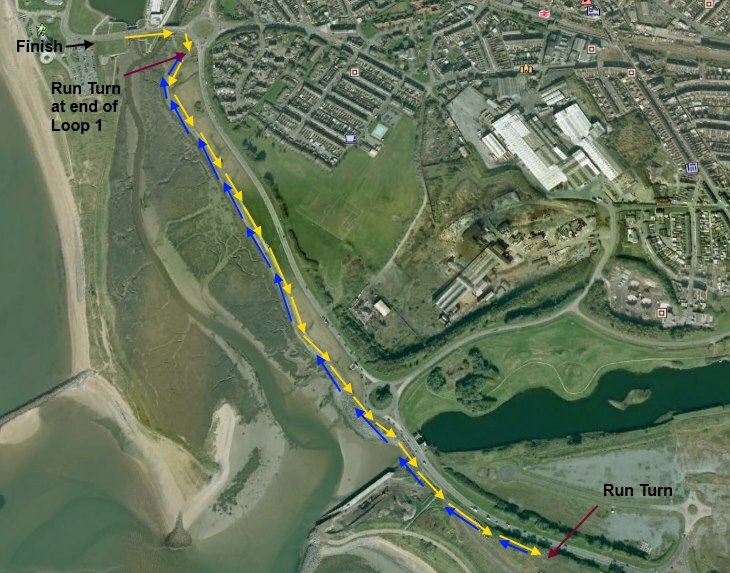 PT1 – Your run course is on the same road as your bike course. 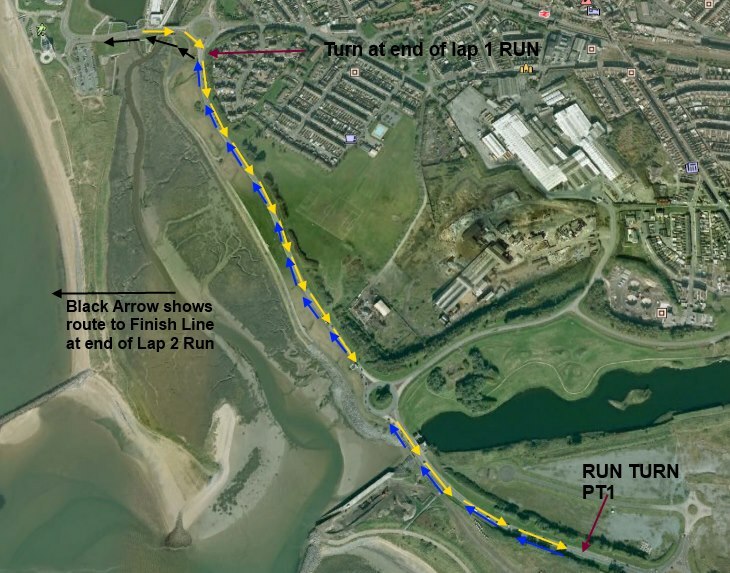 Once you have completed the two laps on the road you will then make your way to the Finish Line as shown below.